Perfect for a hungry coward or picnic at the park. 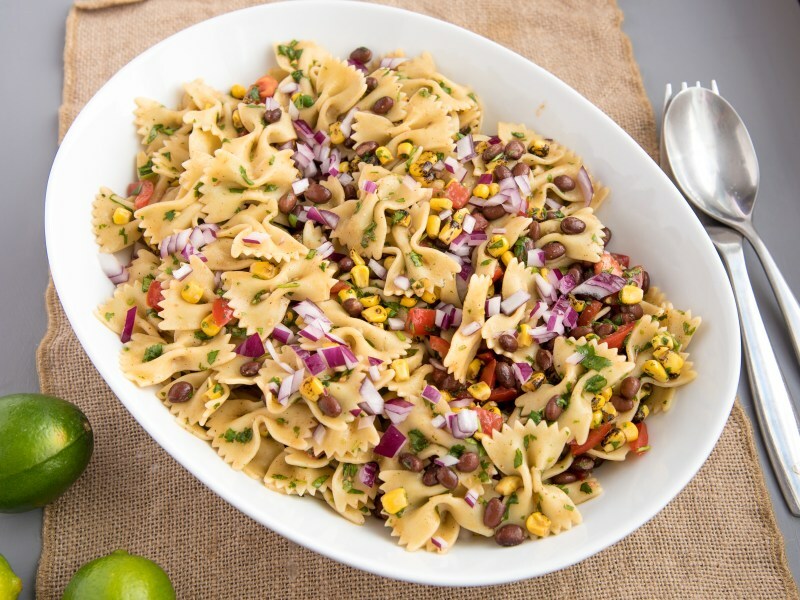 This southwestern pasta salad filled with roasted corn and beans and tossed in a chile-lime dressing will make your friends happy. Like a little added heat? Add minced jalapeño and a pinch of cayenne for an added kick. Per Serving: 436 calories; 22g fat; 52.3g carbohydrates; 12g protein; 5mg cholesterol; 83mg sodium. 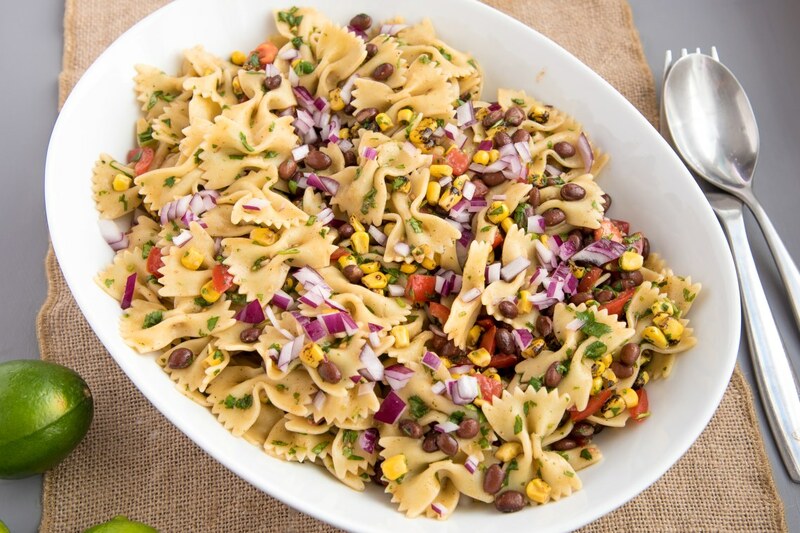 This southwest pasta salad is perfect for parties and other gatherings. We had people over recently and made this dish. It was a big hit with the adults and the kids. This southwestern pasta salad was perfect for my company potluck. It was one of the most popular dishes and took me less than 30 minutes to make. If you're looking for a quick and delicious pasta salad, this is it. Was looking for something quick to make to satisfy my pasta craving and this recipe hit the spot. I added in some grilled chicken to make it a dinner time meal and it was a big hit with the family.